Nitrogen is an element that is essential for life. It can exist in many forms from gases to inorganic compounds like nitrate, urine, ammonia and many organic compounds. The nitrogen cycle which traces nitrogen through its many pathways and states (liquid, solid, gas) in the ecosystem is one of the most important chemical cycles supporting life. Clearly, nitrogen is essential to life, but like anything when there is too much of it, bad things can happen. Excess nitrogen in drinking water is especially dangerous to infants and can cause “blue baby” disease. Excess nitrogen in aquatic systems like Georgica Pond promotes harmful algal blooms (HABs) which can lead to toxic conditions, low oxygen and fish kills. 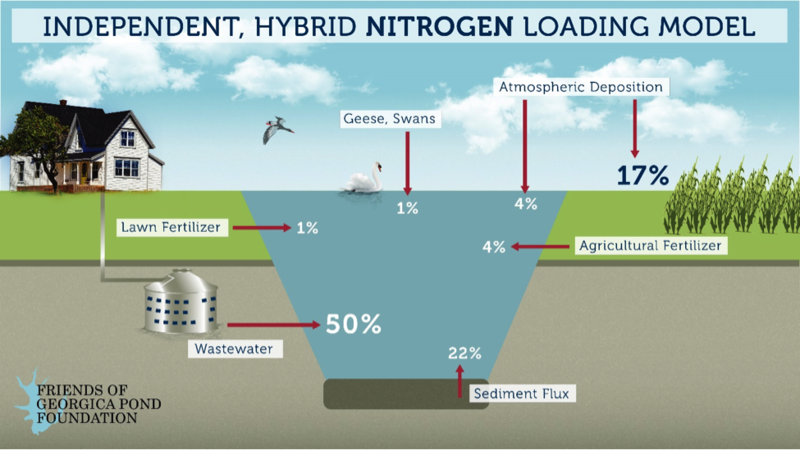 Because of the threat nitrogen is posing to our drinking water, ponds, lakes, bays and harbors, an unprecedented effort has been launched to address and stop the problem. 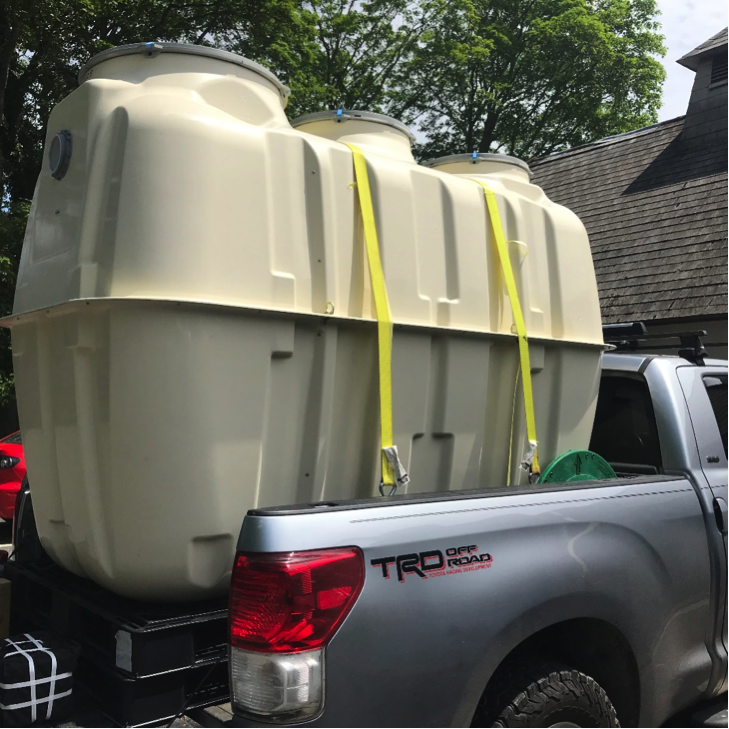 Research, including from the Gobler Lab at Stony Brook University has documented that liquid wastewater leaching from traditional septic systems is the largest source of nitrogen pollution on Long Island. To give you a sense of the scale of the problem, there are 360,000 traditional septic systems in Suffolk County. Dr. Gobler performed specific modelling for Georgica Pond and found that wastewater from septic systems contributes at least 50% of the total nitrogen entering the pond. The model also found the other sources of nitrogen for Georgica Pond include sediments, fertilizer run-off and the amazing atmospheric deposition, where the energy in lightning converts atmospheric nitrogen gas back into nitrogen compounds in the water and soil. FOGP strongly urges its members to start the upgrading process now. The money you spend now will add to the value of your home and contribute to clean drinking water and a beautiful, healthy pond. If the pond’s water quality continues to deteriorate, real estate values will too. For those who qualify, there is an East Hampton Town rebate program and a Suffolk County Grant program. Information about the Town’s rebate program can be found at https://ehamptonny.gov/584/Septic-Rebate-Program. As with any change, the new laws and technology require a learning curve for all of us to overcome. Many engineers and architects are now qualified to design these systems, and local installers are gaining experience with them. A number of engineers and architects have taken the County course on the newly-approved systems. For a list of them go to www.reclaimourwater.info They are the most knowledgeable, but any engineer can design a system that is right for your home.